Chronic illnesses affect oral health, which in turn may cause additional complications to the illness and subsequent treatment. 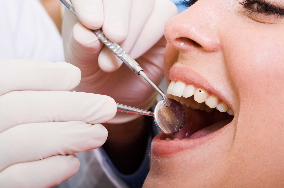 Dentists and hygienists perform a range of services including cleaning, X-Rays, filings, extractions to prevent health complications and create smiles. All treatment is provided by fully licensed, well qualified, volunteer dentists, hygienists, and dental assistants. The Dental Clinic is on the lower level, with the south entrance.